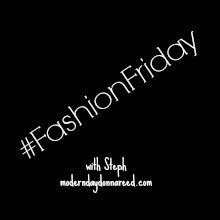 A few Fashion Friday's ago, one of my fave bloggers, Kelly of Centsible Life, shared about how she was looking for every day winter coats. It motivated me to open up my coat closet and take a look around. Even though I've had it for a few years, I still really like my everyday winter/ski coat that I purchased from EMS. It still keeps me warm and keeps moisture out. Well, then I got to looking at my dressier coats. And that's when things took a turn for the worst. You see, I have one dress coat. It's a black wool peacoat that ties around the middle from Old Navy. And I've owned it for 12 years. It still looks decent, but totally outdated. And looking at it now, I realize it could be more fitted. 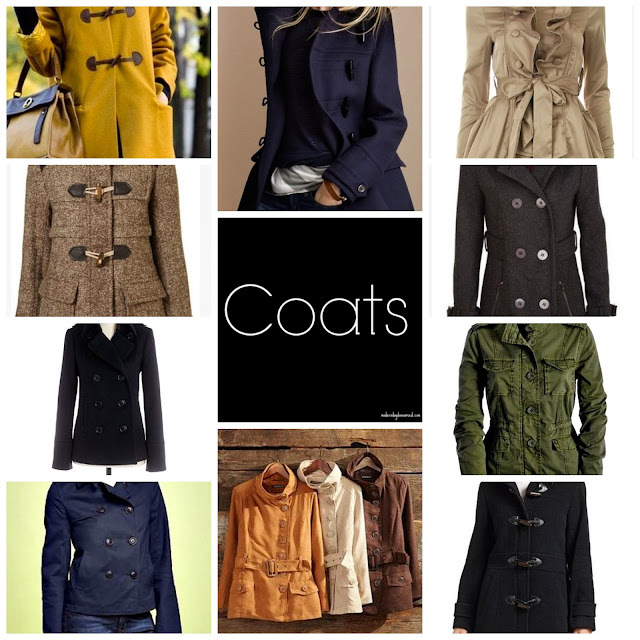 I've spent some time looking around Pinterest for some New Coat Inspiration. And I've found a few things that peak my interest. I'm struggling, though, to narrow down what features I am most looking for in a dress coat. I've always really liked toggles. I don't know why. I just think they are cute and rustic. But, buttons are more common. There are 3 options when it comes to length: Long, Mid-Length and Cropped. I'm not looking for formal. So long is out. That leaves mid-length (which would fall slightly below my hip) or cropped (which would fall at or slightly above my hip). Black is the safest choice. It goes with everything, right? Navy is also a solid option. But there is always camel. Or grey. Or a even statement color like moss green or mustard yellow. You know how I feel about mustard yellow, right? So many coat trends are in right now. Peacoats are always in style. But there are also duffle coats (which go well with toggles), trench coats or military-style. I've never ventured far off the peacoat path, so I need to decide if I want to stay safe or try something new. So this is what I'm left with: Decisions. A mid-length mustard duffle coat with toggles? 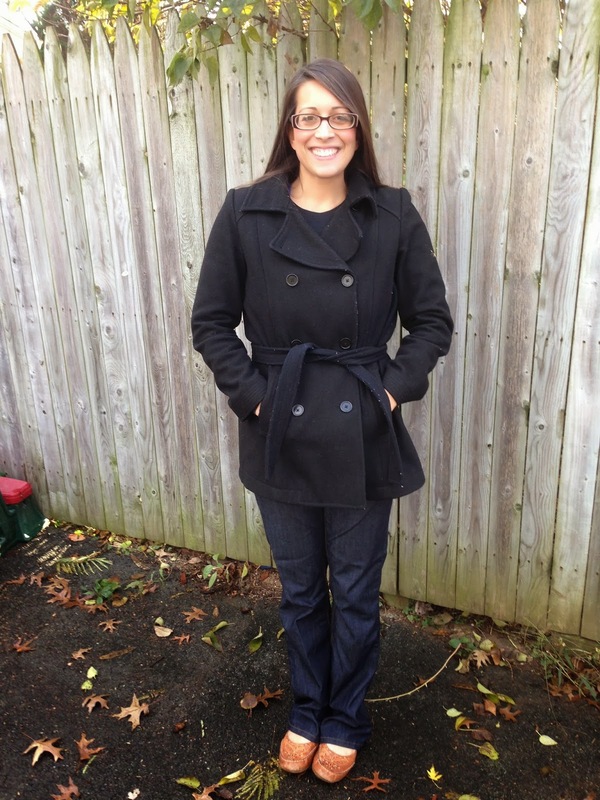 A cropped navy peacoat with buttons? A green military-style jacket with a zipper? HOOD or NO HOOD?! What kind of coat do YOU recommend? What length, color, style or buttons would YOU opt for? Leave a comment - I'd love to hear your thoughts!